No truer words were ever spoken. Each one also has his or her own story. Some of those are recounted here, for your enjoyment, amusement, or heartfelt sympathy. New Spirit volunteers work hard to make sure that our dogs get that day in the sun! 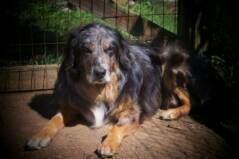 Siggins was found in an outdoor shelter, dirty, matted and so debilitated that he could not wag his tail. The victim of what appeared to be years of neglect by his owner, he was picked up as a stray after being hit by a car. Due to his age, about 12 years, he was not a good candidate for adoption in the shelter. Fortunately, he caught the eye of a rescue worker and was pulled from the shelter. After months of rehab, his injuries healed as well as could be expected for a senior dog and he was eventually adopted by a loving couple that wanted to give an old dog a good home. His story is the essence of rescue. The dogs listed on this page are in their homes with their owners and are not part of the New Spirit 4 Aussie Rescue program. 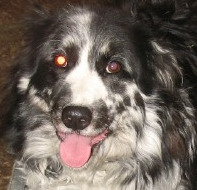 All information has been provided by the private individual or group responsible for the dog. 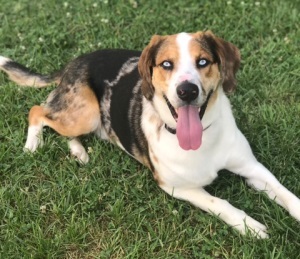 NS4AR makes no guarantee to the accuracy of the information and NS4AR has no obligation, responsibility or liability with respect to the adoption, placement, or transportation of the dog. 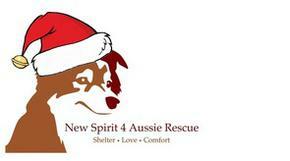 NS4AR has provided this space only as a courtesy to help place dogs in need. is up to date on all shots. He is good with all humans, most dogs except small ones, and will tolerate a cat. 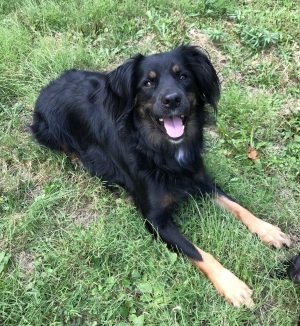 He is housebroken, he is friendly and energetic, and loves to play ball. Click here to place a listing on this page. This is Mila, an Australian shepherd and Lab mix. she is spayed, up to date on shots, takes monthly HW and flea med, 3 yrs old and about 50 lbs. 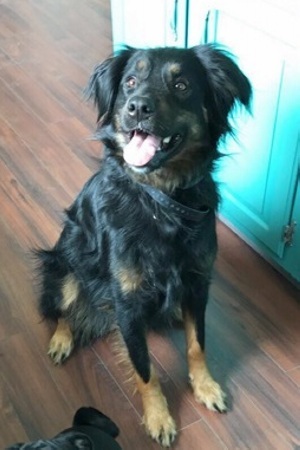 Mila is crate trained, housebroken, good with other dogs, and adult humans, medium energy level, loves car rides, but has not lived with a cat. She is not great with children. She is located in Norwalk Ohio, and you can contact Breanna at breannaz2015@gmail.com for more information.